Our Professional Development program was developed and is provided by experienced dance professionals who currently work as TRS Teachers. We offer a number of different options and deliver training in your setting. This full day of dance will increase staff confidence when delivering cross-curricular dance and give them the tools and dance methods to develop their pupils’ dance skills. They will learn how to use the choreographic flowchart to enhance the teaching of all subjects through practical exercises and theoretical discussions. Includes all 5 modules and An Introduction to Pure Dance. A resource pack will be provided to every teacher that takes part and two extended resources disc will be provided to the day’s organiser or school’s Head Teacher. There are 5 cross-curricular dance modules, Inspiration, Exploration of the Idea, Choreograph the Motif, Motif Development, Choreographic Development. They all interlink, but we can teach them twilight sessions to help you fit them into your academic year plans. Resource packs will be adapted to suit your training and will be provided to every teacher that takes part. An exploration into how movement and dance can be used through all Areas of Learning and developmental stages. The day will increase staff confidence, include team building and teach how staff can include movement in all of their themes. Examples can be designed using themes you already use or we can suggest our own. There is an emphasis on the use of props and a list of suggestions will be provided to the host school. Resource packs are provided for all who take part. 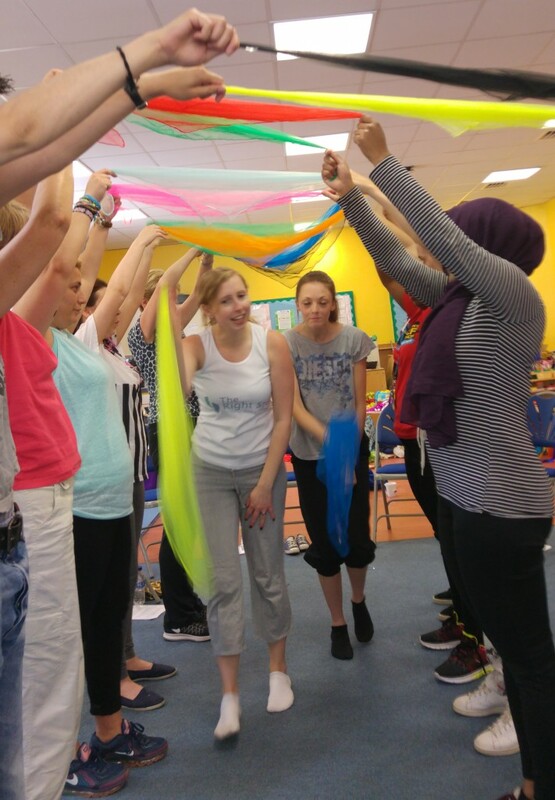 A really enjoyable workshop to guide teachers into teaching Fun Fizz (short dance sequences to get children moving at any time and in any place) and Pure Dance (how to choreograph dances to teach for projects such as Big Dance, Make Chatter Matter, school fetes or performances. Two, 2 hour long workshops. Resource packs are provided for all who take part. Cross-curricular Dance is artistic, but it’s also physical. This workshop supports teachers with ideas to encourage fitness in their dance classes. The sessions include taught warm ups, Explore The Theme ideas with a fitness basis and Cool Down ideas. Two, 2 hour long workshops. Resource packs are provided for all who take part. Many of our teachers have increased in confidence since the course, and especially are more willing to let the children ‘shape the dance’. 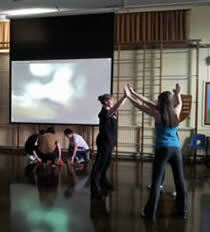 There has been a definite increase in creative dance, allowing more cross-curricular links to be made. I would say that the children enjoy it more as there is no right or wrong way to do it. Please contact us to discuss how we could help your staff. We are flexible and excellent value for money. 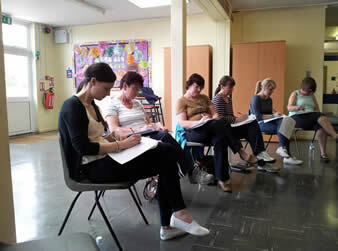 We really enjoy sharing what we know and helping your staff to provide dance.